Water Street Home Rain and Snow, and Dry and Drought? Rain and Snow, and Dry and Drought? 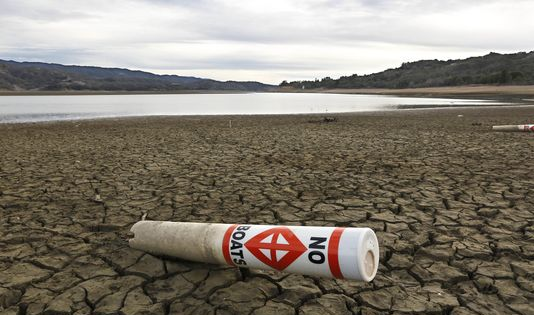 While many parts of the country have recently been experiencing snow and rain, (record levels in some cases like the winter wonderland of Boston), that doesn’t mean other areas have been relieved from their experiences of severe bouts of drought and low water levels. 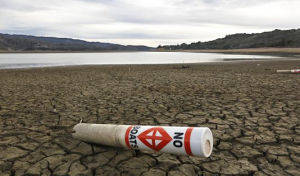 In California, 80% of the state is now in what is considered an extreme drought. Texas as well has over 46% of the state in a sever drought or worse, and many more parts of the Southeast are also experiencing severe droughts more frequently. There seems to be a public perception that if the weather is rainy or snowy in one part of the country (wherever you are), then the country must not be hard up for water – this is simply untrue. News with figures like this might seem to present a problem that is insurmountable, but it isn’t. There are dozens of steps both the average person and our society in general can take to prepare help to mitigate some of the effects. I outlined in a previous blog post how Total Water Management (TWM) systems are one very good solution to impending droughts. TWM applies to all aspects of water management: supply, quality, agriculture, energy/hydropower, flow management, and security against floods. And as far as the average citizen of the world goes, installing water efficient toilets and more economically sound washers, collecting rainwater for house plants and gardens, regular maintenance checks to prevent in-home leaks, and more thoughtful use of our water in everyday tasks are just some of the ways which you and I can help. What we need most of all is a widespread reevaluation of our climate policies and a total rethink of our values. We need to stop thinking that we have more time than we do to handle this, and that these predictions are not based on “science” (which of course they are). By taking steps now rather than later, we can ensure a safer future.